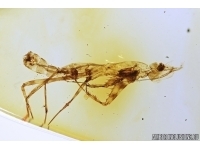 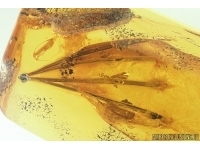 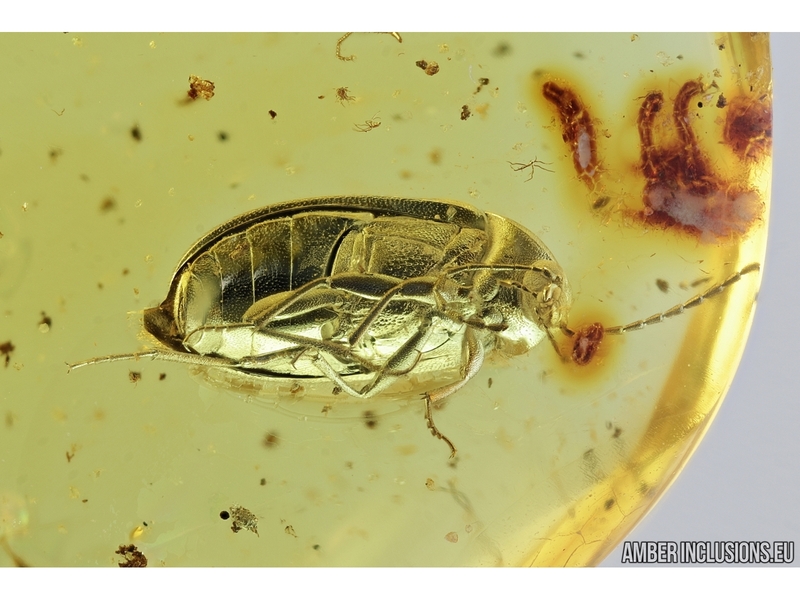 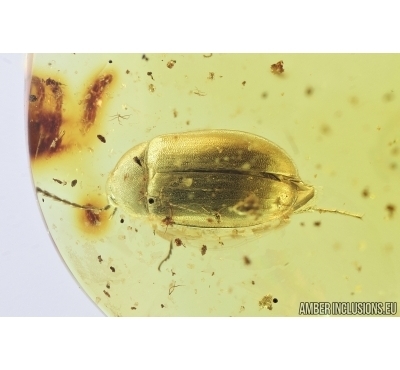 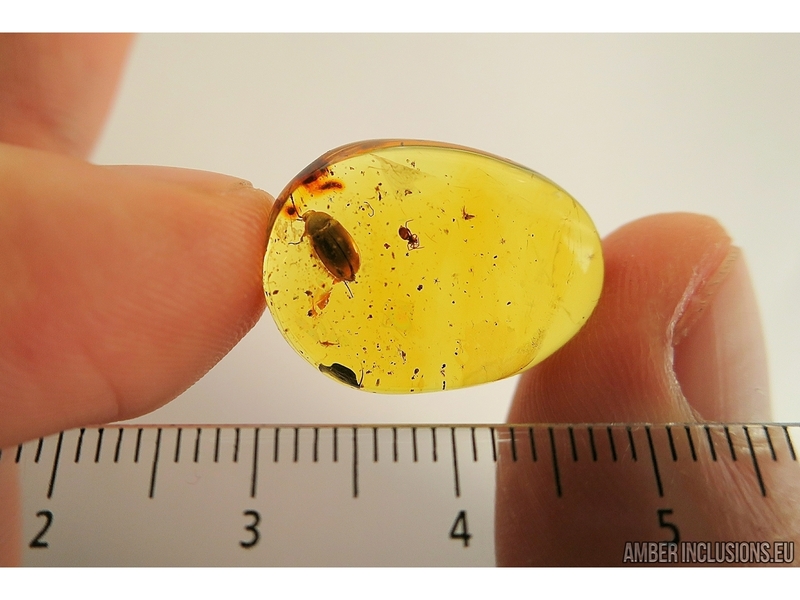 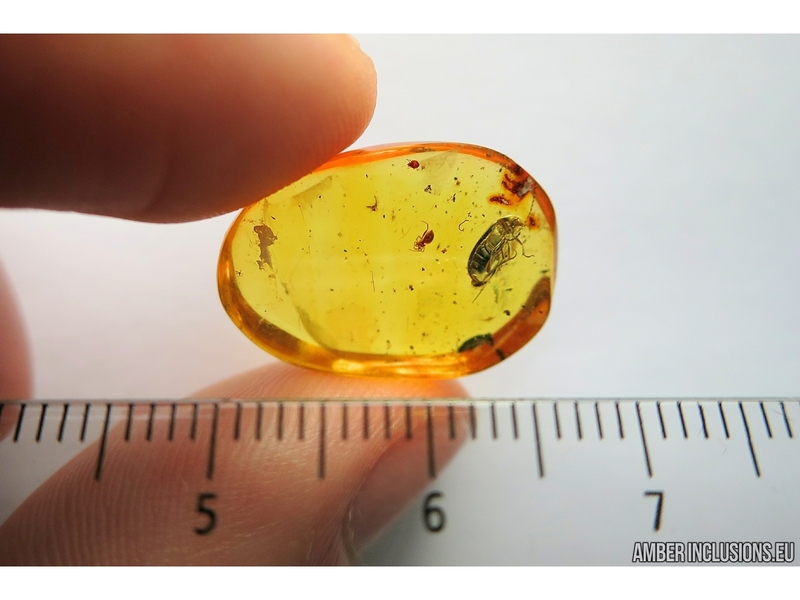 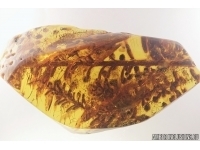 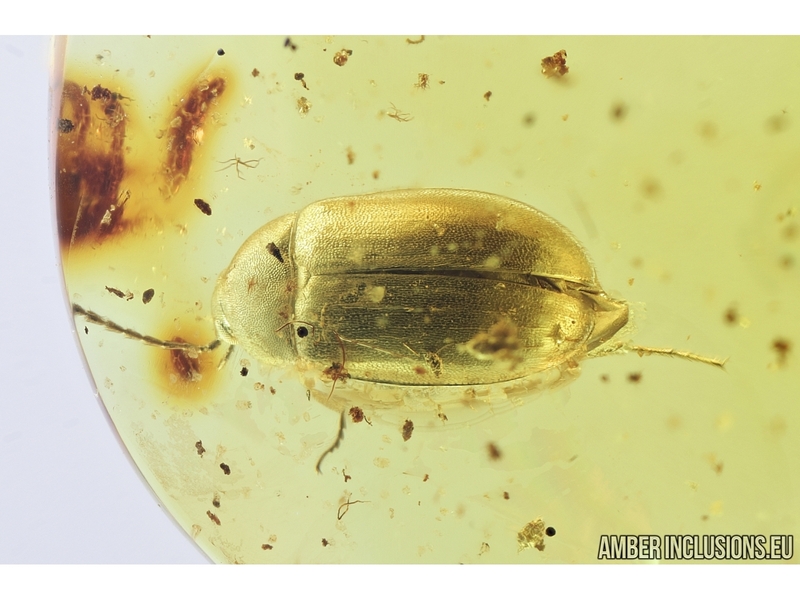 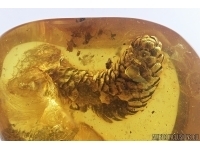 Baltic amber stone with fossil insect - Marsh beetle, Scirtidae. 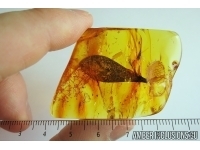 It weighs 1.2 grams. 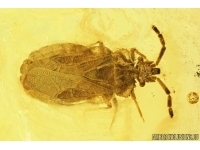 Measurements of stone 21x15x6mm, length of beetle ~4.6mm, spider ~1,3mm.